T​HERE ARE MANY IMPORTANT THINGS TO LOOK AT WHEN YOU'RE LOOKING FOR A NEW FAMILY MEMBER. SADLY THERE ARE A LOT OF BACK YARD BREEDERS OUT THERE. ​WHAT IS A BACKYARD BREEDER YOU MAY ASK? IT'S A BREEDER WHO IS DOING IT FOR THE MONEY AND NOT FOR THE BETTERMENT OF THE BREED. THESE "BREEDERS" USUALLY DON'T DO HEALTH SCREENING OR SHOW BECAUSE THAT TAKES MONEY OUT OF THEIR POCKET AS BOTH ARE VERY EXPENSIVE. THEY ALWAYS HAVE "VALID" EXCUSES WHY - TOO BUSY, KIDS, HEALTH, ETC... BUT THE TRUTH IS, USUALLY THEY JUST WANT THE $$ THEY MAKE OFF THE KITTENS AND PROVIDING YOU WITH A SOUND, SOCIAL, WELL BRED KITTEN ISN'T A PRIORITY. THESE SAME BREEDERS WILL OFTEN HAVE MANY KITTENS AT ONCE AND WILL BREED THEIR GIRLS AS OFTEN AS POSSIBLE AND START BREEDING BEFORE A YEAR OF AGE. THIS OFTEN MEANS RUSHING THE BABIES OUT THE DOOR AT 8, 10, 12 WEEKS OF AGE. WHILE THIS MAY SEEM APPEALING TO NEW OWNERS, THERE'S A REASON REPUTABLE BREEDERS HOLD ON TO KITTENS TIL 15/16 WEEKS OF AGE. KITTENS LEARN IMPORTANT SOCIAL BEHAVIOR DURING THE PERIOD OF 8 - 12 WEEKS OF AGE, INCLUDING GOOD LITTERPAN BEHAVIOR. KITTENS ALSO DO NOT MAINTAIN IMMUNITY OR HAVE SOUND IMMUNE SYSTEMS UNTIL 15/16 WEEKS OF AGE AND MOVING IS AN EXTREMELY DIFFICULT AND STRESSFULL TIME. A YOUNGER KITTEN WILL OFTEN BREAK WITH URI's BECAUSE OF THESE THINGS. ALSO A REPUTABLE BREEDER WILL ALTER THEIR KITTENS PRIOR TO SENDING THEM HOME, THIS PREVENTS THINGS LIKE MARKING IN THEIR NEW HOMES AND BYB'S BUYING "PETS" AND BREEDING THEM. WHEN LOOKING FOR A KITTEN, YOU WANT TO FIND A BREEDER WHO SHOWS AS THAT MEANS THEY ARE INTERESTED IN MAKING SURE THAT THEIR CATS/KITTENS MEET BREED STANDARD. THEY ARE PUTTING THEIR NAME/REPUTATION OUT THERE. 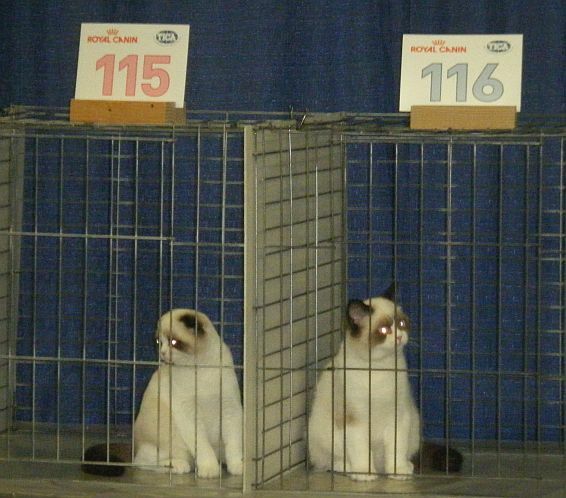 YOU WANT A BREEDER THAT WINS.. AS THIS MEANS THAT THE CATS HAVE BEEN SEEN BY JUDGES WHO DEEMED THEM NOT ONLY OF GOOD QUALITY, GOOD TYPE BUT FREE OF ISSUES LIKE BAD TAILS, JOINTS, DEFECTS, ETC. BACKYARD BREEDERS OFTEN BUY FROM OTHER UNREPUTABLE BREEDERS WHO DON'T ALTER AND ARE BREEDING CATS WITH KNOWN FAULTS. 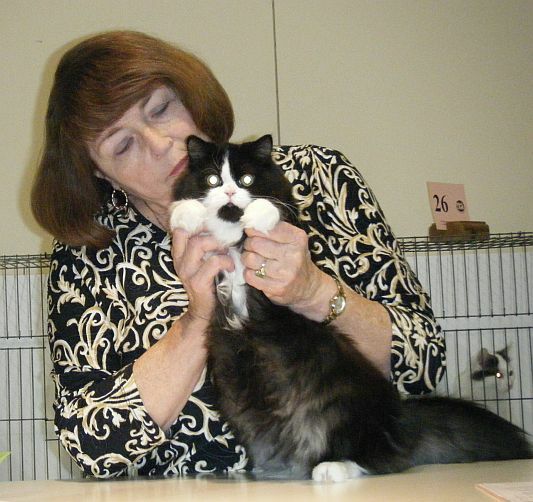 A REPUTABLE BREEDER DOESN'T NORMALLY SELL TO THESE TYPES AND THEY ALTER THEIR KITTENS PRIOR TO GOING SO THAT PET QUALITY KITTENS AREN'T PASSING ON UNDESIRABLE TRAITS. ​CATS ARE NOT DOGS.. A 'CHAMPION" TITLE DOESN'T MEAN MUCH (OTHER THAN THERE WAS NO COMPETION THERE) IN ONE BIG ORGANIZATION YOU DON'T EVEN NEED TO MAKE A FINAL TO EARN THAT TITLE. 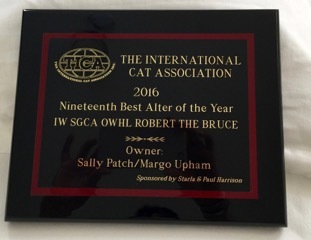 IF IN THE USA - LOOK FOR A BREEDER THAT SHOWS CFA OR TICA AS THESE ARE THE TWO BIGGEST ORGANIZATIONS AND THAT MEANS MORE COMPETION/VALIDATION FOR A CAT THAT WINS. 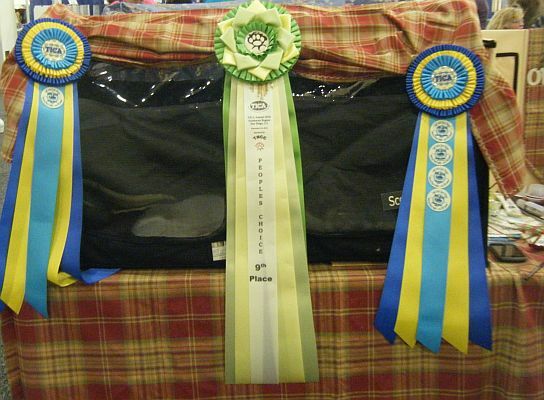 IF THE "BREEDER" ONLY SHOW LITTLE ORGANIZATION OR DOESN'T SHOW AT ALL.. CHANCES ARE IT'S BECAUSE THEIR CATS ARE OF LESSER QUALITY AND COULDN'T COMPETE IN THE BIG ORGANIZATIONS. KNOW WHAT TITLES MEAN IN WHAT ORGANIZATION. 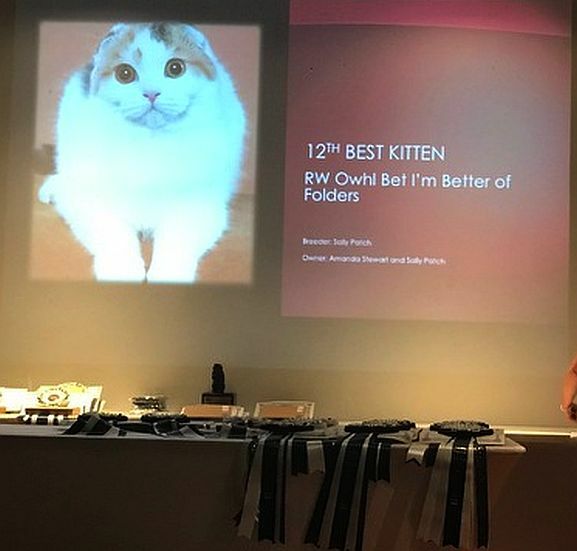 IDEALLY LOOK FOR A CATTERY THAT HAS NOT JUST CHAMPIONSHIP TITLES (CH / GRAND CHAMPION IN CFA AND CH, DOUBLE GRAND CHAMPION, TRIPLE GRAND CHAMPION, QUAD GRAND AND FINALLY SUPREME GRAND CHAMPION IN TICA) BUT REGIONAL WINNER (RW) AND NATIONAL (NW) AND/OR INTERNATIONAL WINNERS (IW) AS THIS MEANS THAT THESE CATS WERE THE BEST OF THE BEST IN A GIVEN YEAR, OF ALL BREEDS. IF YOU'RE INTERESTED IN LOOKING FOR A SHOW NEAR YOU, YOU CAN VISIT THE ORGANIZATION'S SITES WHICH WILL INCLUDE SHOW CALENDARS. 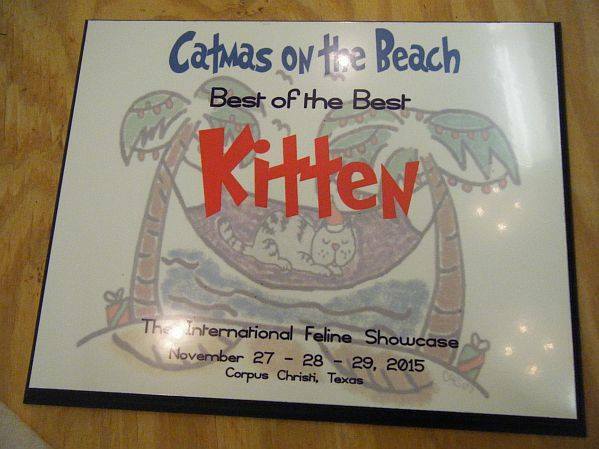 YOU CAN FIND A LISTING OF LOCAL SHOWS AT www.tica.org/show-calendar FOR TICA AND www.catshows.us/ FOR CFA.